The weather phenomenon El Niño is to continue to wreak havoc on soft commodities for the first half of 2016. Thailand, China and Australia have been hit hardest by this latest El Niño, which is one of the strongest on record. It has resulted in huge water shortages in Australia, where 80% of the state of Queensland has declared drought. The Burdekin dam near Townsville in the state is thought to be just 49.5% full, compared to 75% a year ago. This is the lowest level since it opened in 1987, while the Ross River Dam had fallen to 30%, leading to widespread water restrictions. Furthermore, when a dam’s level falls below 30%, GTR understands that agricultural activity is required to stop. This will hit the Australian sugar crop, around half of which comes from this area. John Reeve, director at Agree Commodities, tells GTR that he understands the conditions are likely to prevail well into the second quarter of 2016, which will lead to a deficit in supply, after five long years of surplus. Prices are likely to rise accordingly, with agricultural commodities likely to outperform energy, metals and other hard commodities again on this metric in 2016. Since most soft commodities are perishable, supply is more driven by the market, unlike markets for the likes of copper and iron ore, which can be distorted by traders stockpiling stores of the metals in warehouses in order to inflate the price. A report authored by Rabobank, released this week, predicts relative stability across the board in agricultural markets, with demand in China continuing to be strong. “These trends will be prevalent in Asia, where China is a large importer of feed commodities and influencer of global prices, and countries such as Indonesia, Malaysia, Thailand, and Vietnam are important soft commodities producers. 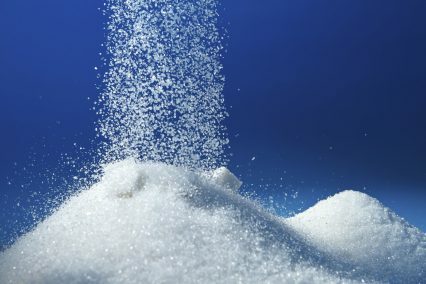 “The world sugar market will get more support than other soft commodities, with deficit production expected to be the new norm. India’s production is expected to contract by 3% year on year to 28.5 million tonnes, and if El Niño persists into 2016/17 Thai production will decline for the first time in five years,” says the bank’s global head of agricultural market research Stefan Vogel.